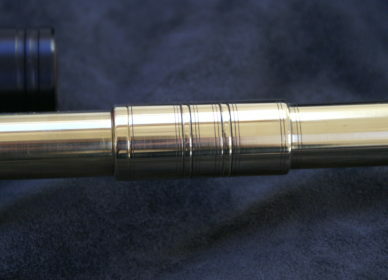 D chanter in Ebony, Brass and Imitation Ivory. 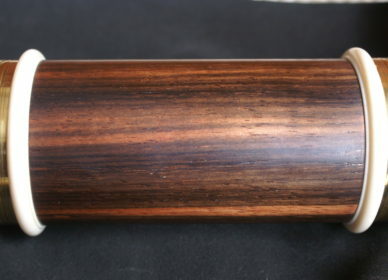 The chanter has four brass keys fitted and scalloped finger holes. I don’t usually scallop finger holes but this was a customer request. 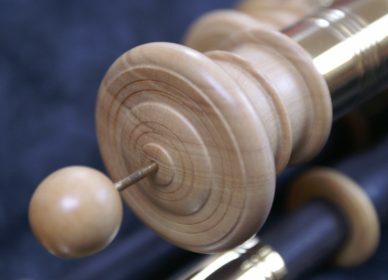 In order to maintain the tuning I turned the chanter slightly oversize in terms of the thickness. This then allowed the chimney heights to return to standard once the holes were scalloped.